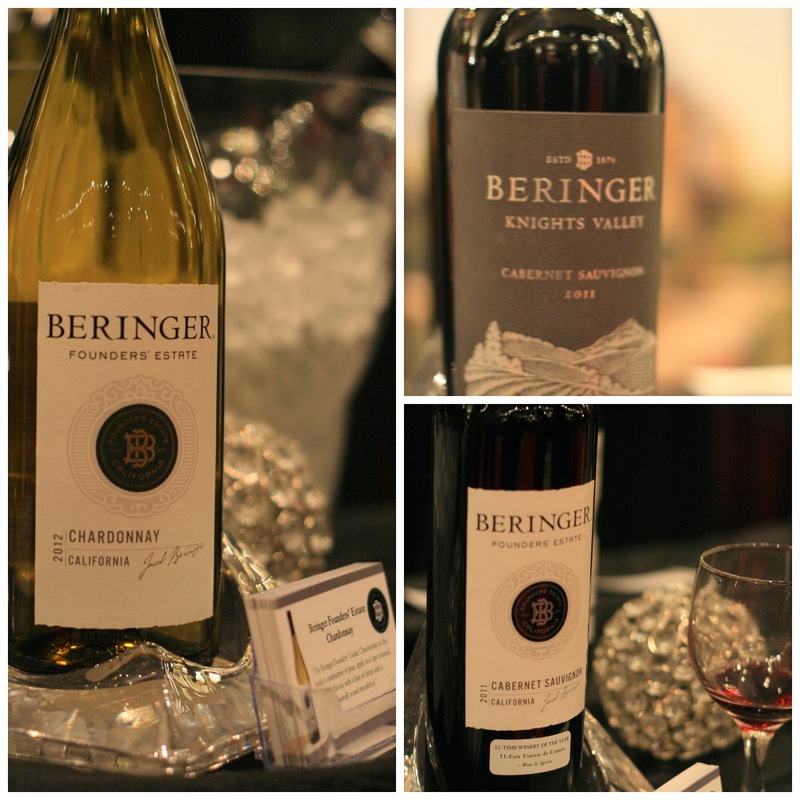 Let's head back in time to the Rocky Mountain Wine & Food Fest this past October (2013) where I had the opportunity to taste test the Beringer line of wines available at the event. That night they had both whites and reds available to try. Starting with the whites there was the Beringer Founders' Estate Chardonnay and Pinot Grigio. Personally, I enjoyed the Chardonnay over the Pinot Grigio as it had a nice round taste to it and not on the dry side. The description Beringer uses is that it is a combination of "pear, apple, and ripe tropical fruit flavors, with a hint of citrus". I would say this would be a good white wine to bring over to a friend's place when having seafood such as lobster, fish or even a wine & cheese night. I am thinking a nice hard italian cheese such as the Hirten Castello would go well with it. From the reds I tried their Beringer Knights Valley Cabernet Sauvignon and their Founders' Estate Cabernet Sauvignon. Perhaps it is my particular preferences but the Knights Valley Cab Sauvignon was more of a winner when comparing these two reds. In asking the retail price, the Knights Valley usually retails for $35-40. I would probably try this red at home first with a nice pan roasted lamb leg chop or steak bought from my local butcher prior to bringing this over to a friend's place. What are your thoughts about Beringer wines? Have you tried this particular line or are you more partial to the other wines in the Treasury Wine Estates which includes 19 Crimes & Wolf Blass?